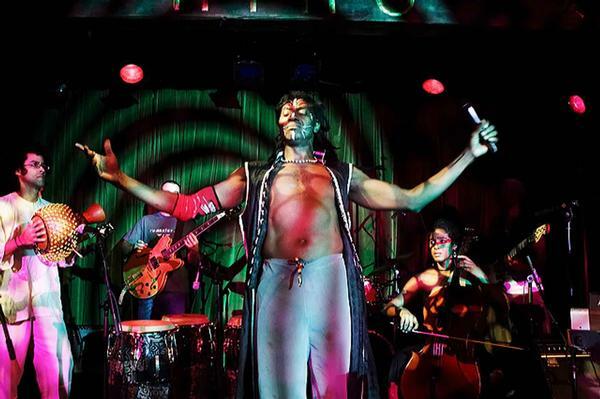 Amayo’s Fu-Arkist-Ra is a unique afro-beat ensemble based in Williamsburg, Brooklyn. The music is a combination of traditional Chinese Lion rhythms and Nigerian Afro-beat. This unique blend of styles creates a vivid and magical landscape for stories, lessons, and dances of ancient Chinese and African folklore. Songs in the repertory include ‘Amen-awon’, ‘Wounded Lion’, ‘Lion Awakes’ and ‘Happy Lion’. The result is a lethal fusion called FU-Afrobeat: a blend of African spiritual rhythms, Traditional Chinese lion rhythms, highlife, funk, and jazz, infused with political messages. The band’s diverse spectrum of backgrounds carries the spirit of Kung Fu masters and philosophers of the Orient, Freedom fighters, the Royal warriors of Edo & Ife Kingdoms, and Fela Kuti.